Summertime means ripe perfect strawberries in our neck of the woods. 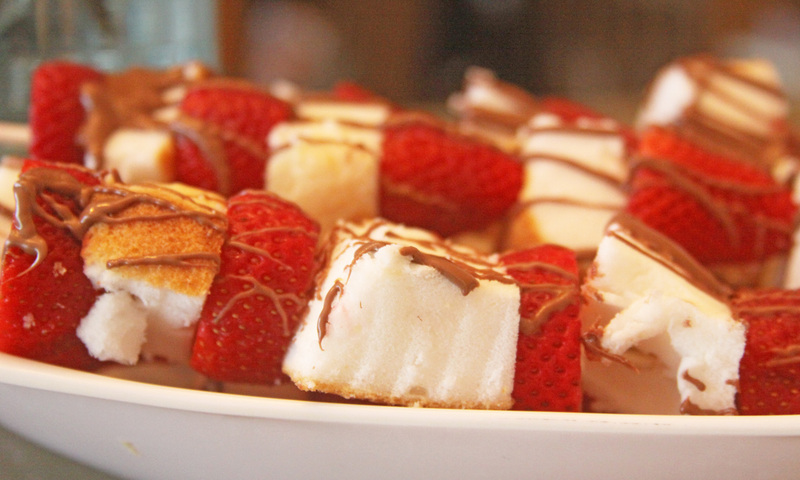 This is a great summertime dessert that anyone can make and that everyone will love. 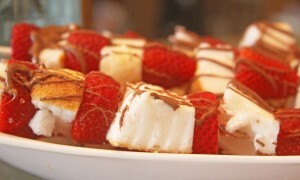 Here is a quick and ultra tasty summer time dessert that the entire family will not be able to resist. 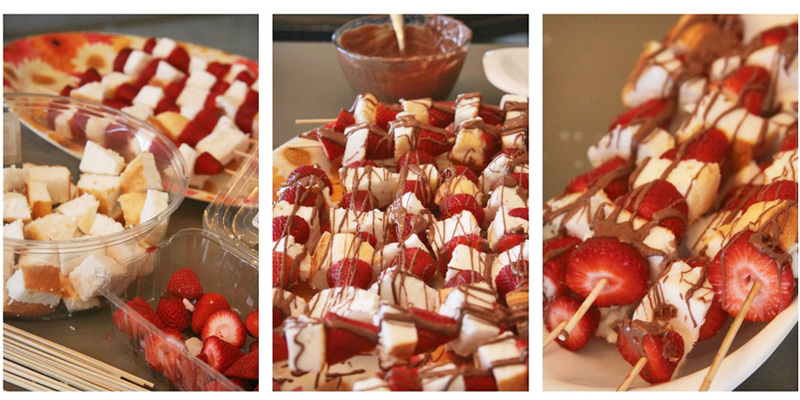 Strawberry dessert kabobs will be a hit after a summer cookout or party. They take minutes to put together and are fresh, fun, and really good too. I have realized that my children seem to love any type of food that is served to them on a stick (not sure what that is all about), but this tasty treat was no exception. After making grape caterpillar fruit kabobs that my kids could not stop eating, I thought I would give a strawberry version a try. This time I decided to make it for dessert. Everyone in my family loves strawberry shortcake, and especially this time of the year when fresh strawberries are at the very best. 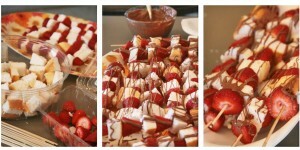 When I spotted this strawberry shortcake-esk kabob idea on pinterest I couldn’t wait to give it a try. The blog that the idea came from used them at a baby shower – what a great treat to serve for an function! There were no real instruction, but it is pretty self explanatory. For a super quick after dinner treat I just picked up a pre-made angel food cake from our local grocery store, but you can make your own or use shortcake instead. To keep it simple I bought one and cut it into squares using a serrated knife. I washed and then cut the strawberries into a manageable size for the kids to eat(you could leave them whole too). I melted some chocolate chips in the microwave. Heat for 30 seconds at a time, stir and repeat until the chips are melted completely. These would be great with white chocolate chips too! 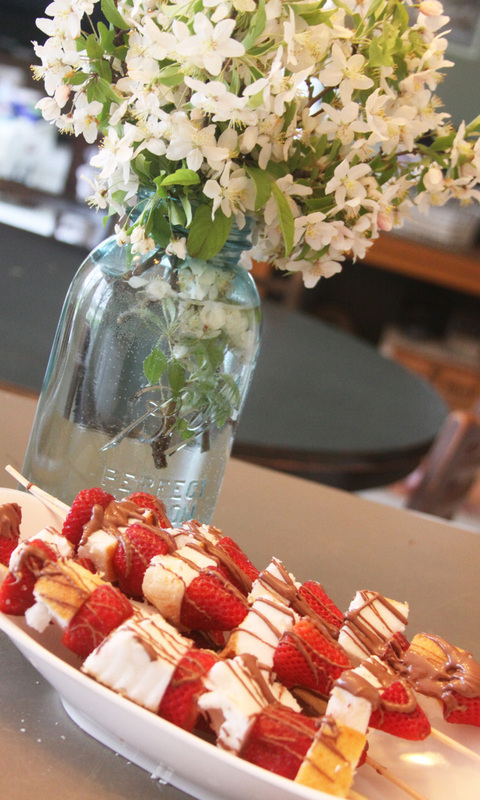 The kids helped me alternate the fruit and cake onto the skewers. Once the skewer was full we drizzled the melted chocolate over the top and let them sit until the chocolate set and hardened. The kids ate two each and had the most beautiful chocolate covered smiles the night that we had these. I do love baking, but in the summertime I let the oven take a back seat and stick with fresh, easy desserts that take little effort and time. It somehow makes me feel like I am spending more time outside with my family and less time in the kitchen!